Experience amazing rock formations, waterfalls, specific fauna and flora. 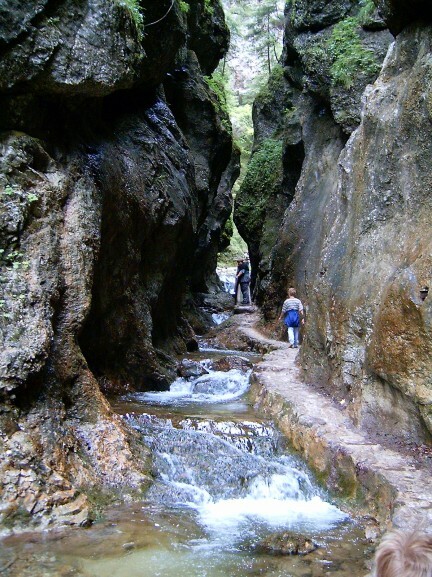 Gorges Janosikove diery or just diery (holes), situated in Mala Fatra are one of the most beautiful hiking trails in Slovakia. Why we love it: Beautiful waterfalls and rock formations. Climbing the ladders is fun! Janosik is the hero of Slovak legends, poems, novels and films. According to the legend, he robbed nobles and gave the loot to the poor. He was born in Terchova, village nearby Janosikove diery. And so, these gorges carry the name of this Slovak highwayman. With 2 waterfalls (1m and 3,5m). This is the easiest part of hiking trail. 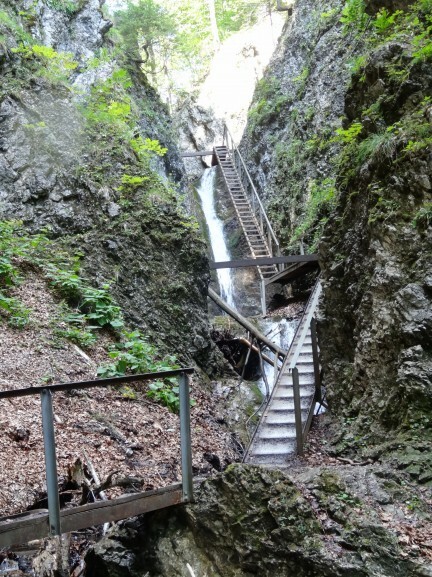 With 4 waterfalls (1-2m). Right after dolne diery. With 9 waterfalls (2-4m). Closed during the winter and impenetrable during heavy rains. 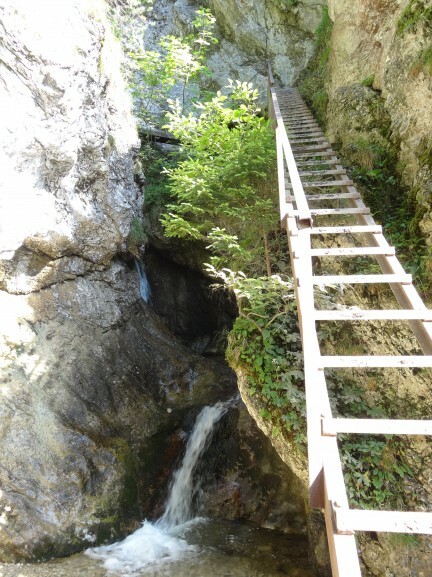 It can be only manageable by ladders, chains and footbridges. You can choose between 4 trails. Small route is perfect for families with children. Large route is the most beautiful one and we will introduce it to you below. 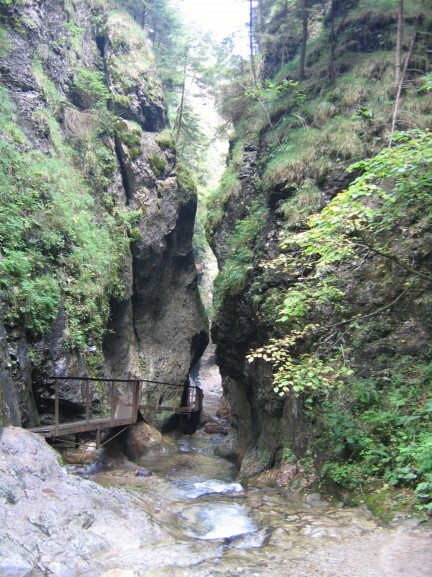 Then, you can also choose large route with follow-up hiking to Velky Rozsutec or Maly Rozsutec. Park the car near hotel Diery in Terchova. Start from Biely Potok and follow the blue trail to Ostrvne. From Ostrvne, choose the yellow trail to Podziar. Then, follow the blue trail again, all the way to Sedlo Medzirozsutce. Turn back and follow blue trail for a while, then choose the green trail to Sedlo Vrchpodziar. For 300 m follow the yellow marker to Podziar. From Podziar follow the blue trail back to Biely Potok.